In 2004 a patient organisation in the UK dealing with elderly people, published a leaflet about preventing falls in the aged. The title was “Don’t mention the F-word”. This title reflected the attitude of many older people who do not consider themselves old enough to fall as the general feeling was that it can “make you feel old and senile and need to be told everything” and that falling generally only happened to frail old ladies! Fractures (especially hip fractures) in older people can be devastating. 20% of patients with a hip fracture die within the first year of having suffered a fracture, and more than 50% of the rest will never be able to function independently again. Even in the absence of fractures or other injuries, falls may lead to a fear of falling with a subsequent loss of confidence. Fractures are one of the major consequences of falls and the more you fall, the more your chances of developing a fracture. At age 50 a woman has a 1 in 2 chance of suffering a fracture, compared to 1 in 5 men. This can probably be ascribed to the fact that women have a longer life expectancy than men and are also more prone to have osteoporosis. Other diseases like Paget’s disease may also be associated with an increased risk of fracture. The impaired mobility and loss of independence associated with a fracture may result in the need for the patient to be admitted to an old age home or be dependent on family or nursing care. Each of these risk factors increases the risk of falling by between 1.5 and 3 times and the more risk factors you have, the higher the risk of falling. Recent guidelines recommend that when a health care professional examines an older person, a basic falls assessment should be performed. Three simple screening questions should establish (i) if there have been two or more falls the previous year, (ii) have they been hospitalised after a fall and (iii), whether they had difficulty with walking or mobility after a fall. If the answers to any of these are positive, a more detailed assessment and intervention is required. Medication, particularly long-acting sedatives, major tranquillisers and hypnotics (including non-prescription medicines like cough mixtures, which often contain antihistamines), is the single most important reversible risk factor for falls in the elderly. Antidepressants, antihypertensive drugs, hypoglycaemic agents, laxatives and alcohol may also predispose. Cognition and affect. A simple Abbreviated Mental Test (AMT or “mini mental” test) and depression score are more than adequate as screening procedures. Gait and balance. The Timed Up and Go Test (TUGT) with a 15-second cut-point is usually sufficient, although sophisticated sway meters can accurately assess body sway. Further assessment of proprioception, vestibular disorders, neuropathies or local foot disorders may be required as indicated. Cardiovascular examination. This should include assessment for postural hypotension (reduction in blood pressure of ≥ 20 mm Hg when standing, compared with sitting and reading) and cardioinhibitory carotid sinus hypersensitivity. Weakness and immobility. Melton has emphasised the fact that nearly half of all hip fracture victims have some degree of muscle weakness. He coined the term “sarcopenia” to underscore this important risk factor many years ago. Quadriceps strength is usually measured isometrically in the dominant leg, with the angles of the hip and knee at 900, and with the patient seated. Visual acuity (Snellen Chart) and depth perception. Environmental safety. Up to 40% of falls are accident- or environment-related. The vast majority occur in the home during daily activities. The most important environmental risk factors are objects that may be tripped over, slippery surfaces, inappropriate furniture and poor lighting. Previous falls. Any fall will enhance the fear of subsequent falls, resulting in loss of confidence, a reduction in activity, muscle strength, postural control and a further increase in the risk of falling. 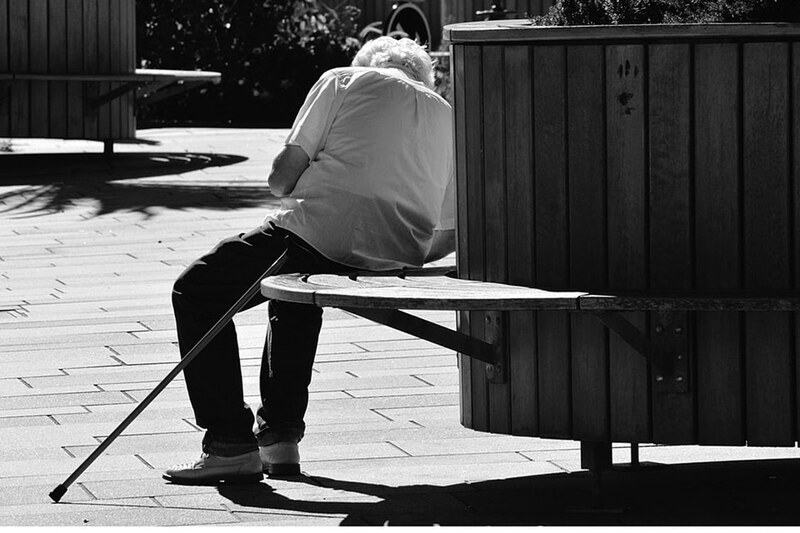 Since < 5% of falls in elderly people result in hip fractures, the severity and type of fall, over and above mere frequency, appear to be important determinants of fracture risk. Sideways falls are thought to increase fracture risk some 30 times more than a forwards or backwards fall. One in four falls directly on the greater trochanter is said to result in fracture. The extent of a patient’s soft tissue protection over the greater trochanter may further influence the amount of energy absorbed during a fall, and hence limit fractures. External hip protectors can reduce hip fracture risk by as much as 50%, particularly in the frail and elderly with significant hip osteopenia, but require a highly motivated patient who is prepared to wear the protector at all times. Moreover, use of hip protectors has not been demonstrated to significantly reduce the risk of hip fracture in non–institutionalised elderly subjects, even when they are compliant. Hip protectors are very expensive, not readily available in this country and generally of little practical use. The risk of falling and the number of falls can be reduced by a fall assessment and also by providing a list of recommendations aimed at addressing the individual risk factors for falls. These may include physiotherapy to improve walking, exercise programmes to improve balance and muscle strength and advice on the appropriate use of walking aids. Review and modify medication where necessary and treat abnormal blood pressure and heart disease including abnormal heart rhythm. Identify potential hazards in the home. Add lights in badly lit areas and at the top and bottom of staircases. Clean up clutter- especially near staircases. Wear firm shoes that are not slippery on the bottom and don’t walk around in loose fitting slippers or socks.